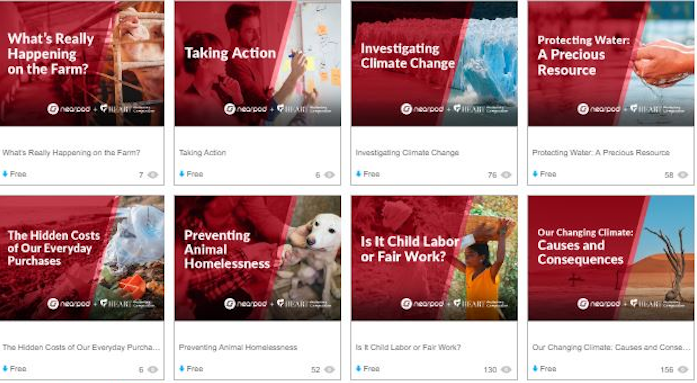 One of the challenges humane educators face in creating curricula and programming for general education settings is introducing students to meaningful human rights, environmental ethics, and animal welfare topics that are also politically or socially sensitive. Our focus on expanding compassion to all beings necessarily highlights the people, animals, and natural systems that are most marginalized and at risk, and as such, humane education often intersects with deeply held cultural norms, public policy, and political rhetoric. 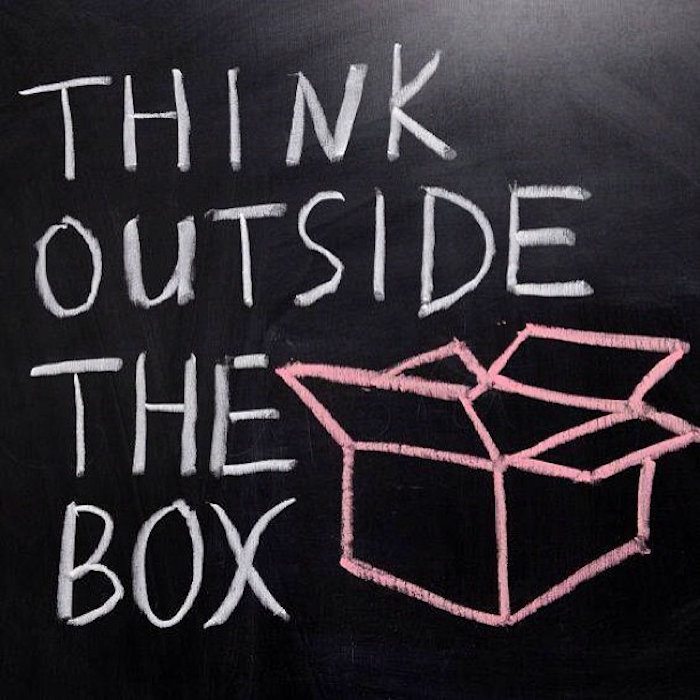 Our job is not to proselytize or to promote specific solutions to these often entrenched and complex problems, though. Instead, we always urge our students to think critically, to develop the skills needed to independently gather information and make decisions about causes of suffering and injustice in their communities as well as the appropriate actions to take in response. An especially valuable way to explore controversial topics relevant to humane education is through the lens of student-directed service learning. 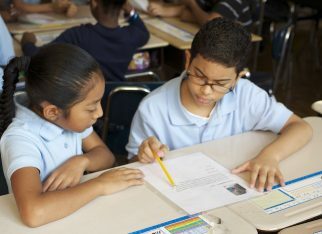 Rather than presenting students with an already developed lesson about a topic, the service learning structure points them in the direction of areas of suffering, asks them to research the causes and wider impact of this suffering on other living beings, and then supports them in crafting a response that they feel is meaningful. 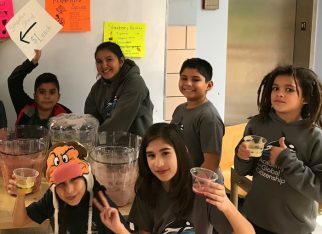 I’d like to share an example of an on-going service program with a group of 5th grade public school students in the Bronx, where a politically divisive topic offers this community an opportunity to embrace tolerance. This is a school with a very high percentage of recent immigrants. Students whose families have recently fled from violence and economic hardship in Mexico and Central America, Bangladesh and other South Asian countries, North Africa, and the Middle East, make up the majority of the population. Not surprisingly, considering these groups of people might be seen as more vulnerable and in need of support in their community, many students chose to focus their service projects on understanding and responding to problems faced by recent immigrants. Small, self-organized topic groups researched challenges unique to many recent immigrants: struggling to master a new language, meeting basic needs like employment, housing and health care, and even just navigating their new neighborhood. Many of the problems the groups identified arose from the students’ direct life experiences. Participants talked among themselves, and to the class as a whole, about their families’ sometimes frightening journeys into this country, the anxiety that comes from having family members who are undocumented and at risk of deportation, the sense of loss and worry about family members left behind, and the burden of mastering two languages, often serving as the family’s sole translator in mediating with school and other administrative systems. These elementary-aged children are also well aware of pervasive anti-immigrant rhetoric, directed at them as Latinos or Muslims, and they have shared fears about ‘ICE’, anger at Donald Trump, and confusion about ‘the terrorists’ they incessantly hear about. The projects they are concurrently developing are, in many ways, vehicles for them to personally counter this political system of exclusion with a positive message of welcome. Some groups are creating ‘mini-dictionaries’ to translate words and common phrases they believe fellow students need in order to play and work together across language barriers. Spanish, Arabic, and Bengali are the most widely spoken languages besides English in the school, and kids are using Google Translate and other web-based systems to create a one-page ‘Rosetta Stone’ to help their peers communicate with new members of the community. 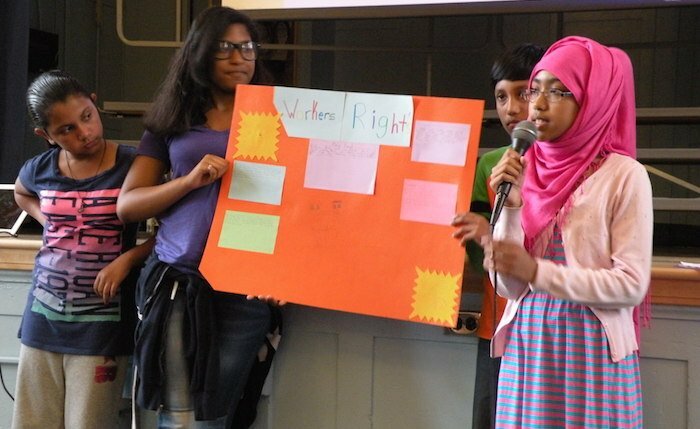 One group wants to create a school club, responsible for approaching and engaging new students from other countries, and act as peer mentors/big sibs on the playground or during lunch. Another group is planning a multi-cultural after-school event where students will learn about and even experience food, clothing, religious and cultural practices, sports and games, music and folk tales from some of the many countries of origin their class represents. Other students want to create a guide or map to local businesses and services that brand-new neighbors may not know about. As these discussions and project ideas have developed, the most inspiring aspect for me has been the excitement these young people feel by being able to speak up for themselves, share their stories, and even more importantly, reach out to their peers across language and cultural differences. They aren’t waiting to be ‘accepted’, or ‘understood’; they are actively creating those qualities in themselves and their school community. Perhaps the most important lesson here is that, as teachers, we can have the courage to introduce divisive or controversial topics into our classroom discourse if we have trust in the students themselves as partners in shaping the process.